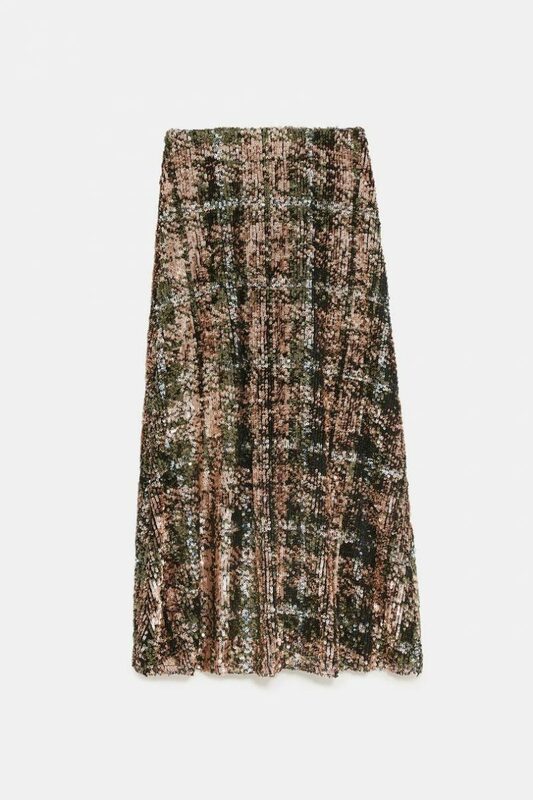 This Zara Limited Edition Sequin Skirt To Be Number 1 Christmas Party Buy? Now I feel like everyone I know is pretty much a die hard ZARA fan. So I guess I should say, ladies, listen up! Most of you Zara fans will already know that every year, there are certain items that literally everyone ends up going cray for. All over Instagram, you get that one Zara item everyone goes nuts for. Thanks to bloggers and all the other stylish people you follow on the gram, you’ll see the #1 item being shown off. Some pieces even earn their own dedicated Instagram accounts. Yes, it’s that crazy when you talk Zara party wear. Well, it seems that there is a sequin skirt from Zara that is already set to be this year’s front-runner. The limited-edition sequin, midi, A-line skirt is selling like crazy and it only launched online YESTERDAY. It’s already the number 1 selling item on the Zara website. It’s no surprise really: it’s a sparkling, sassy glittering skirt. It’s £95, so not cheap, but look how damn pretty it is. If you didn’t think Christmas had arrived yet, you’re now wrong. You can see the skirt online here.